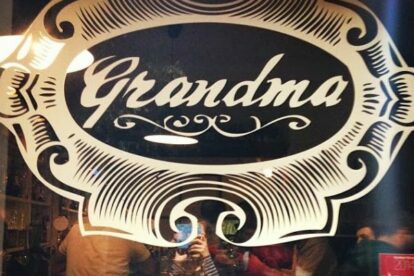 Compared to other restaurants in the area, which are all very low-profile, Grandma Bistrot is carefully designed and has a strong hipster vibe. More than its food, I like Grandma Bistrot’s friendly atmosphere, which is the epitome of what the Quadraro neighborhood is becoming lately: the ultimate boho neighbourhood in Rome. Moreover, I go to Grandma Bistrot when I fancy attending live concerts: they always manage to get some indie bands to spice up my dinner. The name suggests that they serve simple recipes, which are made up of influences ranging from grandmas’ kitchens to international cuisine. The bread is baked in their own kitchen, and they offer a wide selection of vegetarian options. After the meal, take your time to wander around this genuine area of Rome and look out for the street art of M.U.Ro., the urban art museum of Rome. Actually, one of my favourite murals (the one by Jim Avignon) is exactly on Grandma Bistrot’s side wall: you can’t miss it!